Liverpool's Mohamed Salah headlines the CAF Player of the Year award shortlist, from which Kalidou Koulibaly is missing. 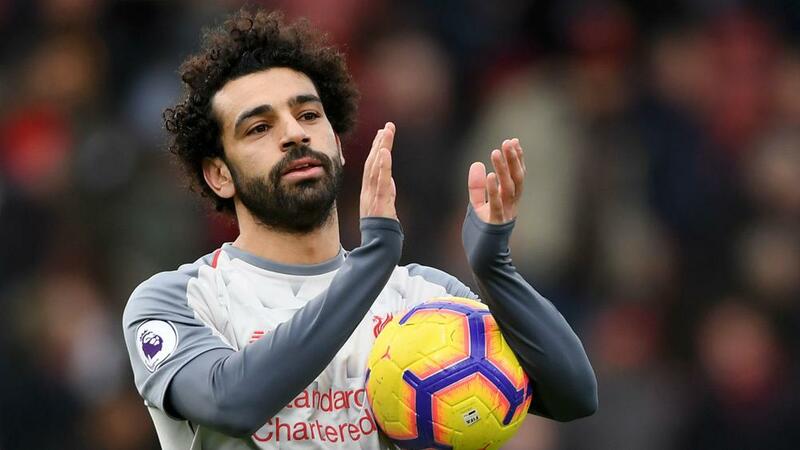 Mohamed Salah predictably earned a place on the shortlist for the CAF Player of the Year award, but Napoli's Kalidou Koulibaly was surprisingly omitted. Salah stands as the clear favourite for the award having enjoyed a remarkable 2018 in which he has found the net 41 times, helping current Premier League leaders Liverpool to last season's Champions League final, where they were beaten 3-1 by Real Madrid. His Liverpool team-mate Sadio Mane, Arsenal's Pierre-Emerick Aubameyang and Alex Iwobi and Manchester City winger Riyad Mahrez are also on the list, as is Ajax goalkeeper Andre Onana and Juventus defender Medhi Benatia. Anice Badri (Tunisia and ES Tunis), Denis Onyango (Uganda and Mamelodi Sundowns) and Walid Soliman (Egypt and Al Ahly) are the three African-based players to be nominated. Yet there is no place for centre-back Koulibaly, who was instrumental as Napoli finished just four points behind champions Juventus in Serie A last season, scoring his team's goal in a 1-0 win in Turin in April. Koulibaly has helped Napoli keep 16 Serie A clean sheets in 2018, though he could not prevent them crashing out of the Champions League in the group stage this week. Morocco international Achraf Hakimi, who is on loan at Borussia Dortmund from Real Madrid, AC Milan's Franck Kessie and Leicester City midfielder Wilfred Ndidi make up the shortlist for Youth Player of the Year. No African team made it past the group stage at the World Cup, but Senegal's Aliou Cisse and Morocco boss Herve Renard are each up for Coach of the Year, along with Moine Chaabani of ES Tunis.